Please read the FAQ before completing your registration form. Volunteer duties including: assisting with setup and breakdown, artist booths, directing attendees and handing out fliers. Shift needs: 8AM-Noon or 12-4PM. You may also choose to volunteer for both shifts. 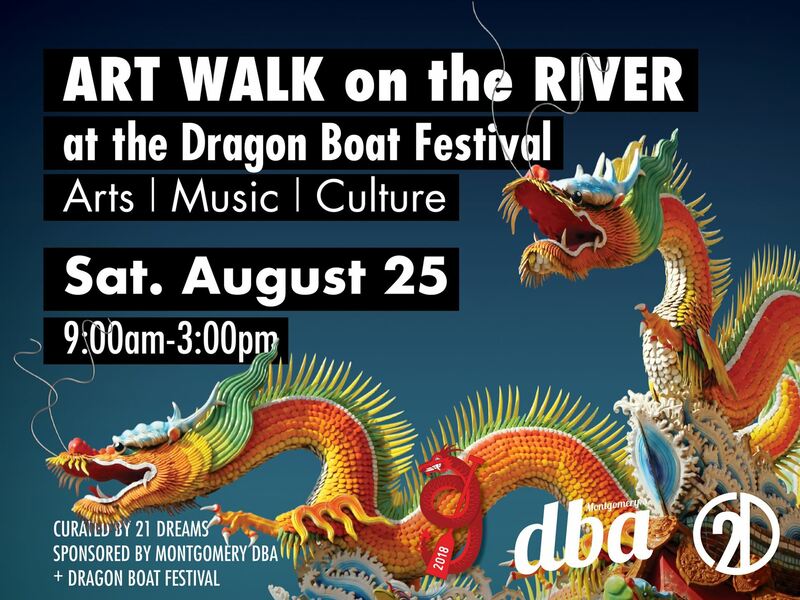 The 3rd and final installment of the bi-monthly Downtown Art Walk Series takes place on the Riverfront at the 9th Annual Dragon Boat Festival! On Saturday, Aug. 25th, the Art Walk on the River will feature exclusive work from the 21 Dreams artist collective and other visual artists! This event is FREE and open to the public. No registration required to attend. We are grateful to DBA Montgomery for their gracious sponsorship of this series! During the registration for this event, simply select the Volunteer option and someone will contact you with more instructions!